Product prices and availability are accurate as of 2019-04-22 10:56:34 UTC and are subject to change. Any price and availability information displayed on http://www.amazon.com/ at the time of purchase will apply to the purchase of this product. 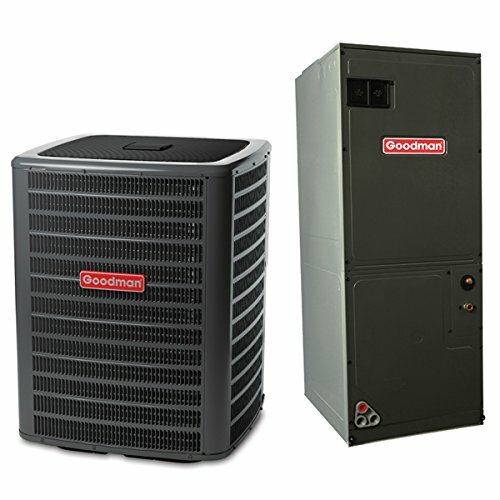 Goodman's 1.5 Ton 14 SEER GSX140181 Condenser is the Central Air Conditioner of choice for homeowners in California, Nevada, Arizona, and New Mexico. It's quiet, comfortable, and environmentally friendly thanks to chlorine-free R-410A refrigerant. 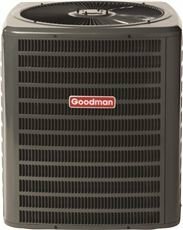 This same refrigerant also comes pre-charged in Goodman's ARUF25B14 air handler, a 2 ton multi-position unit that values your energy investment with dependable features like a PSC motor, DecaBDE-free thermoplastic drain pan, and all-aluminum evaporator coil.